A small team is headed to Belize in May to help set up a computer lab in the small, remote village of Bomba. Bomba has a population of around 70 people and they depend mostly on tourism for their income. Tourists who visit the coast can take boat trips up the river into Bomba where the villagers have shops set up to sell beautiful handmade artwork. 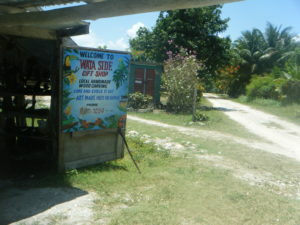 The people of Bomba have only had power in their village for a little more than a year, so they have had little or no opportunities to learn to use computers. Bomba does not have a school, so kids who want to go to school have to ride their bikes for several miles on dirt roads that often flood. Many of their peers who live close to the school can go to the school computer lab after hours if they need extra help, but the kids of Bomba do not have that chance. This new computer lab will open many doors for better education and access to the outside world. We would greatly appreciate your prayers for the village of Bomba. Our ultimate goal is to show the love of Christ to this little village in the jungle. The people are warm and welcoming, but often forgotten because they are hard to get to. They are worth the effort and deeply valued by God and we want them to know that. Remember to specify that your donation is for Belize. We need luggage to carry the equipment because the airlines have changed their baggage guidelines to require luggage versus plastic bins. So, if you have any old luggage you don’t need anymore, we’d love to have it! It doesn’t have to be anything nice, just sturdy enough to make it there.